Click the images to download from my github. Batteries made from stuff, materials define capacity and efficiency, plasteel and uranium batteries do not explode. Beauty and hitpoints should be effected in the normal stuff based way. 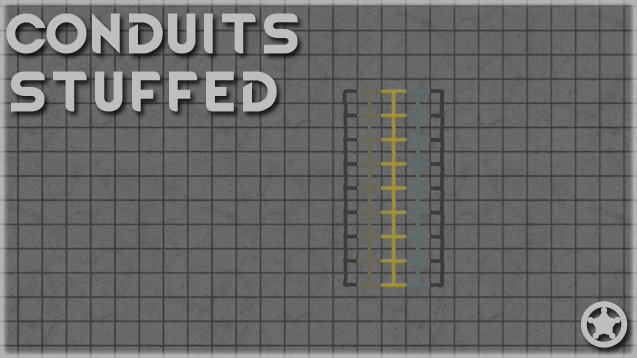 Conduits made from stuff, same as above, uranium is fireproof. 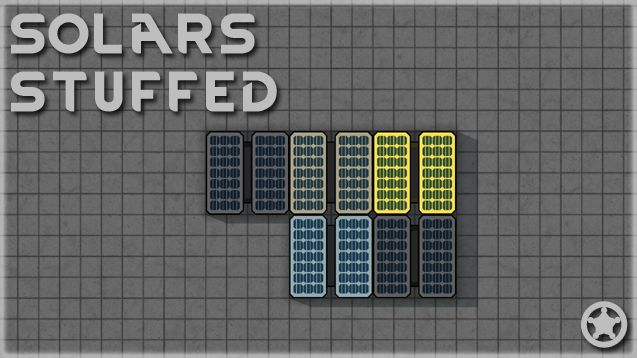 Multisized solars made from stuff, same as above. 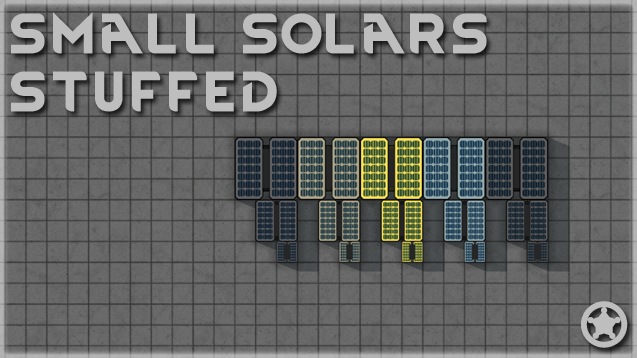 Normal solars made from stuff, same as above. 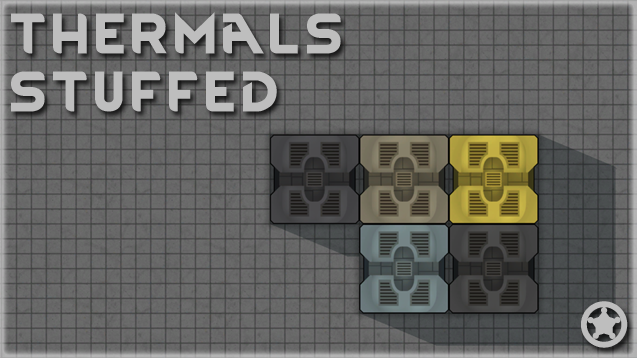 Thermals made from stuff, same as above. Turbines made from stuff, same as above. 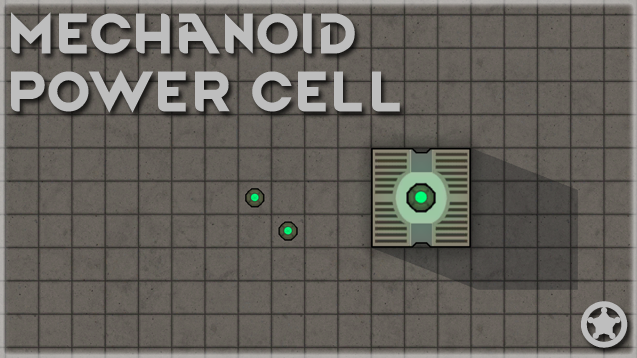 Adds a power cell dropped by the crash shipped part, can be used to build a power generation building that produces 2000 power at the cost of some heat. Feedback on the numbers appreciated! I think you might be forgetting a certain something power-related, that you had in the OmniPack. Wind turbines. They were annoying and didnt work perfectly, i need to revisit the code. theyll come just not in the first batch of mods. So what does this do? Just add smaller solar and the ability to change colors, or does it do more? 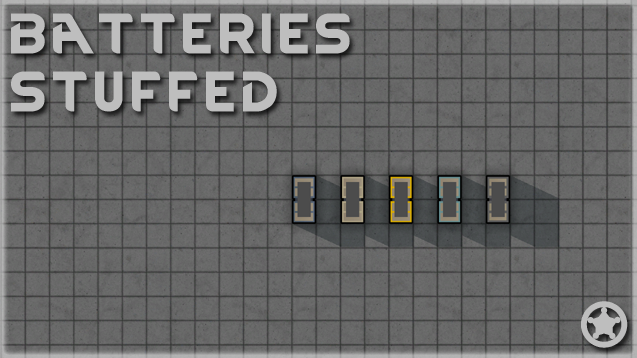 Allows you to make them out of the various metals in the game (and added by mods, except for the batteries). The different metals provide different beauty values, health, and flammability. In the case of the batteries, they're also made to provide different efficiencies and storage capacities. as above the better materials make the buildings perform better as well. I haven't tried yet, just read in the .xml files, but i got to say i love the way they seems balanced, each one slightly better than the last; but, to me, that doesn't look overpowered. 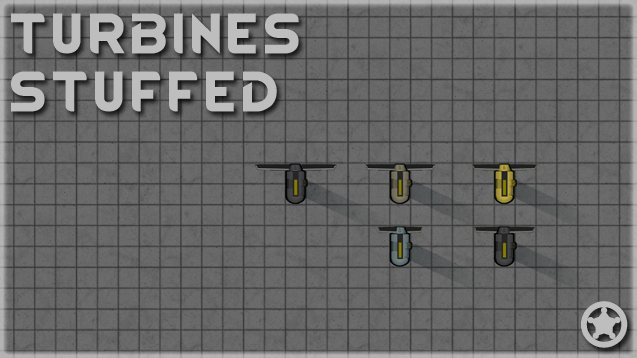 All updated, Fixes duplicate key bindings, A11b compatible. Do any of the stuffed batteries make it so they don't short-circuit you? works with new up date? No idea. Havent had chance to update. Anyone got time to let me know if they do or dont? On my A11c colony all of the stuffed solars, conduits, batteries and even the mech thing seems to be working fine thus far. I didn't use the mini solar but I am assuming that's fine as well. I didnt see any mention of api changes so id guessed theyd be fine. Thanks BangUDie.